Before you take part in your first search for a Geocache you may need some basic tools. Firstly, you need a GPS device, along with the co-ordinates of the cache you are looking for. It may also be beneficial to have a map of the local area but what is essential, is a writing implement to sign the log! Although it is possible to spend a small fortune on the most up-to-date GPS device, which will do everything for you, bar making a cup of tea, such expense is not necessary for Geocaching. One thing that it is important to remember, no one device is anymore accurate than another. So you can buy the cheapest and still enjoy the experiences of geocaching. Some of the more sophisticated devices however have additional features and are geocaching specific, that is they are designed for geocaching and have added additional features to enable you to store cache co-ordinates and to record finds. It is important to realise that a GPS device will direct you to the cache co-ordinates by the most direct route – a straight line – and this may be far from achievable, since the GPS takes no notice of any rivers, valleys, mountains or motorways that may be in your path. The GPS will simply point you in the right direction but you will need to figure out how to get there. Most GPS devices allow to you add maps to them but for those that don’t, you may need a paper map and a compass. do I need my GPS to display maps? 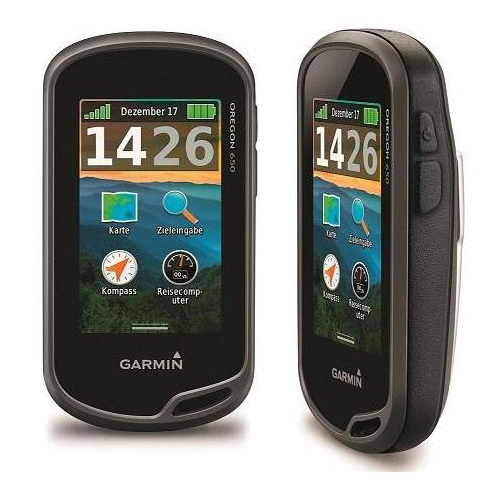 would it be better to have a device that is geocaching compatible? in which types of terrain am I likely to use my GPS? how heavy/large is the device? But wait, what about your smartphone? 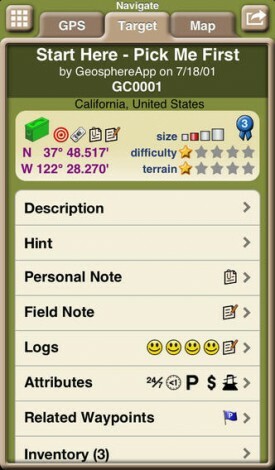 you can access geocache details, including description, photo gallery, recent logs and hints in real time. you can look up and log trackable items whilst still in the field. contact the cache owner for an extra hint! Many of these features are included as standard in top-end devices and these applications change all the time but the beauty of using your phone as your caching tool is the ability it provides. Ideal for a last minute caching spree, or for a quick look when in an new location. Drawbacks would include battery life and the fact that smartphones are certainly not as rugged as a GPS devices and possibly wont stand being dropped or getting a soaking. Be the first to comment on "GPS Devices"